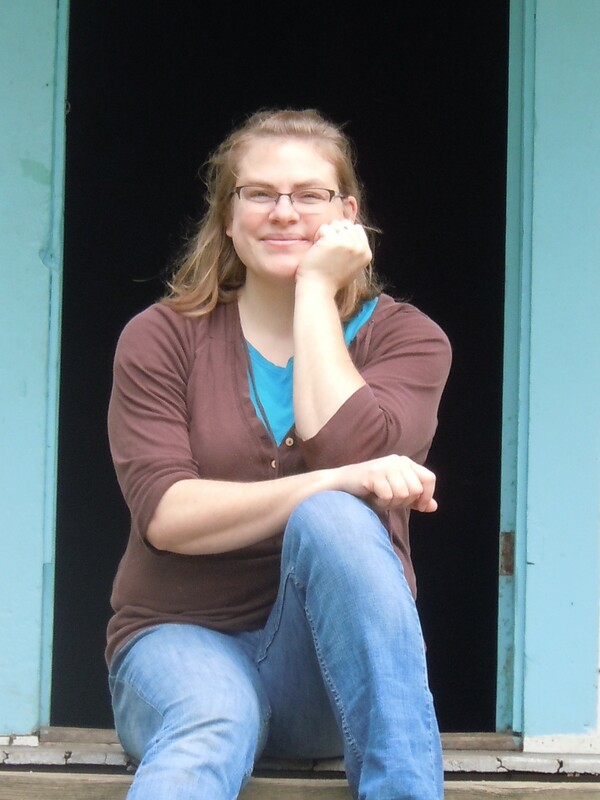 Today I’m excited to welcome Sara L. Foust for an author spotlight. She’s also sharing memories from a recent family vacation. My debut Inspirational Romantic Suspense novel, Callum’s Compass, is coming November 7, 2017. Today, I thought I would share some real-life tidbits about one of the locations from the book. Wildlife biologist, Kat Williams, visits Frozen Head State Park to research nocturnal spring salamanders living in the streams of East Tennessee. Several of the moments in early chapters of Callum’s Compass happen in locations at this gorgeous, real-life park. Though, of course, since it’s fiction I have embellished the scenery a tad. But, the real park truly is one of God’s most magnificent corners of the world. Frozen Head State Park is a place here in East Tennessee that is near and dear to my heart. Our family has been camping there almost every year for over a decade. Their campground is quiet, rustic, and secluded, but they have the cleanest bathhouse I’ve ever seen. We returned on September 20th from a four-day trip there. 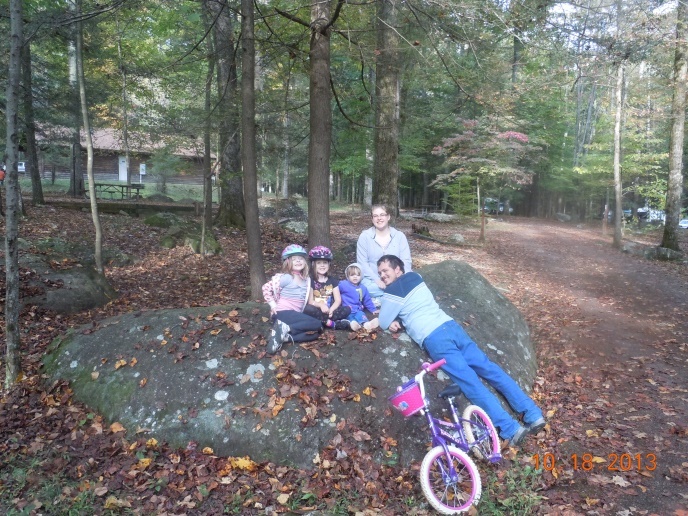 It had been a couple years since we had the opportunity to camp at Frozen Head, and it was rejuvenating and relaxing, like coming home. I love the outdoors, all things nature, and especially owls, salamanders, and mushrooms. So, we took a lot of pictures. And, I even saw a spring salamander (well, I think it was. I forgot my glass in the tent) near a drain at the bathhouse on one of my middle-of-the-night trips to the restroom. 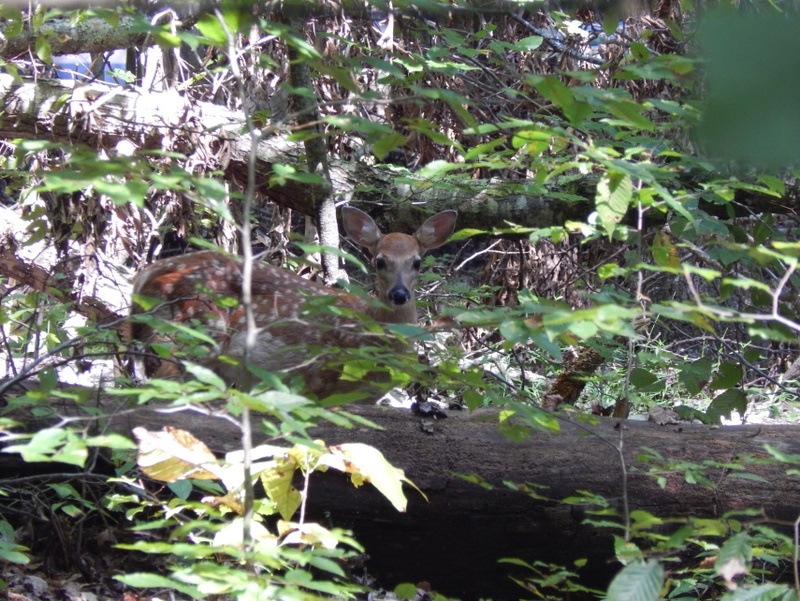 I wasn’t quick, or awake, enough to grab a photo of the little guy, though. Some interesting facts about the spring salamander: They are in fact nocturnal. And, while they are so small they don’t need an entire pond or spring to live in, in Callum’s Compass I used Debord Falls (a real trail and waterfall) for a home-base for Kat’s research. The little guy or gal I spotted living in the tiny puddle beneath the drain is proof they can adapt to a home with people. Hey, those bathhouse lights provide an ample supply of buggy food, I’m sure. If you’d like more information about the salamander life in East Tennessee, visit http://www.tnwatchablewildlife.org. From this camping trip, I learned something important. The memories we’ve created at Frozen Head are some of the most precious ones I have. We will continue our family tradition of visiting this little haven each year as long as we are able. What are your favorite family vacations? I have a bit of an obsession with pirates and buried/lost treasures and hope to someday scuba dive in the Caribbean and find my own lost treasure. I love to photograph fungi and I have no idea why but I have hundreds of photos of them. I love to read, but I can’t pick any one favorite book or author because I can’t possibly narrow it down. If all goes well, the second installment of the Love, Hope, and Faith Series will be making an appearance in 2018. Camp Hope: Journey to Hope tells the story of Amy Dawson, camp director and master tracker. When her foster daughter is kidnapped and taken on horseback into the rural mountains of Royal Blue, East Tennessee, Amy refuses to sit idle. She, too, sets out on horseback to find and bring Mattie home. I also have a story, “Leap of Faith,” appearing in a Chicken Soup for the Soul book called, Stepping Outside Your Comfort Zone, which will be available October 31, 2017. 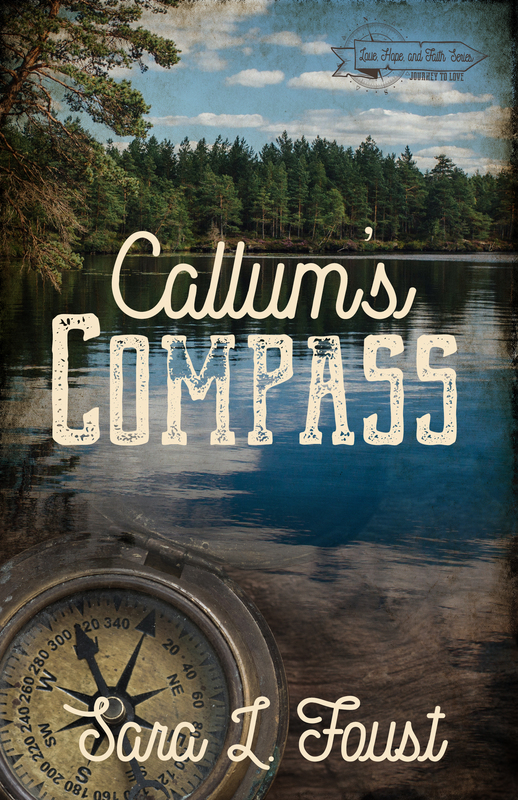 I do so hope that readers enjoy Callum’s Compass! I also hope the spiritual message that God loves us no matter what we do—or how horrible we think it was—shines through and encourages someone out there. The best thing a reader can do is help spread the word by recommending the book to friends and family and by leaving an honest review on Amazon, Goodreads, and other book reviewing sites. We authors really do appreciate those reviews! RYAN JENKINS’S fiancée was murdered. He couldn’t protect her. With the death of her brother, Kat believes she is unworthy of love from anyone—even God. When a good friend elicits a promise that she will stop living in the past and then leaves her clues to a real-life treasure hunt, Kat embarks on an adventure chock-full of danger. To find the treasure, Kat will have to survive wild animals—and even wilder men. Can she rely on Ryan, the handsome wildlife officer assigned to protect her . . . without falling in love? Callum’s Compass will be available on Amazon for e-book preorder beginning October 10th. Full release of ebook and print begins November 7th, 2017. If readers are interested in purchasing a copy, the best way to stay up-to-date for now is to subscribe to my newsletter. Anyone who lives locally is invited to my book launch event on November 4th, 2017 at 6:30 PM at the Grove Theater in Oak Ridge, Tennessee. We will have a free family-friendly movie, refreshments, a book excerpt reading, door prizes, and book signing. I will also be hosting a live stream FB party at the same time through my Facebook author page. Sara writes Inspirational Romantic Suspense from a mini-farm in East Tennessee, where she lives with her husband and their five homeschooled children. She earned her Bachelor’s degree from the University of Tennessee and is a member of ACFW and Tennessee Mountain Writers. Callum’s Compass won second place in Deep River Books’ 2017 Writer’s Contest. Gain access to a FREE digital scrapbook detailing more real-life places from Callum’s Compass by signing up for her newsletter: www.saralfoust.com. Thank you so much for having me today! This interview was a blast!